Happiness in retirement doesn’t require a huge bank account, but it doesn’t hurt, as the saying goes. But not everyone has a healthy stash of funds tucked away. Savings in the bank can increase your options, for sure, but it doesn’t make you happy or healthy. Happiness comes from within yourself and health, well, that comes from choices that you make regarding nutrition, attitude, and life in general. Selecting and purchasing quality food that provides good nutrition, without all the harmful chemicals, preservatives and additives will provide your body and mind the vital nutrients to stay healthy and sharp in retirement. A neighbor in her 80’s, who was an artist living a very simple life once told me that even though she and her husband lived simply, they never scrimped on nutrition. I have always remembered that advice. Forget the pre-packaged and processed foods. There is nothing good about them, except they are easy to prepare. It’s better to eat smaller portions of healthy, nutritious food than to have a plate piled up with no-nutrition boxed, processed “foods”. Not cooking a lot these days? Create a lovely salad loaded with veggies, fruits, beans, nuts and seeds. If you like, chop a little egg or chicken and add to the salad. It’s easy. It’s fresh. And it’s packed with nutrition. Add to that a freshly made vegetable soup and you have a great meal loaded with vitamins and minerals. 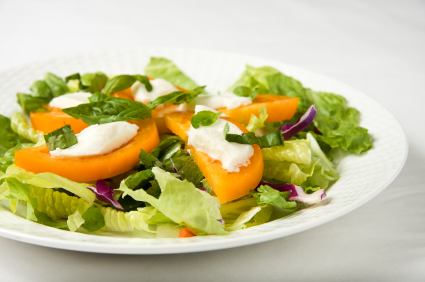 You can make enough for several days, so it is just a matter of plating the salad and heating the soup. Eat well, make good choices for your food, and the rest will follow. As one gets older it is easy to begin to stay at home more where it is comfortable and familiar. However, those who seem happiest in retirement lead full lives, are involved in groups of common interests, join activities, or attend events. They are out and about with friends. Friends are key. They are your support system. Of course, if you have a partner or spouse, they are as well, but expanding your circle beyond your partner or spouse will provide increased interaction and connection with others with diverse interests and views. When you are working you have instant friendships, but after retiring, if you don’t have a circle of people to connect with it can become very isolating. Take the time to establish those connections that are supportive and active. Be selective. Find friends that make you feel good, make you laugh, that are interesting to be around, challenge your thinking, and have a positive outlook on life. It will make life so much more full. Who doesn’t love sitting in a big ole lazy boy recliner that has formed to your shape. It’s so comfortable and cozy. Remind yourself that it will still be there at the end of the day when you want to cozy in and watch your favorite TV show, open that book to the dog eared page, or listen to some of your favorite music. Most of us won’t exercise strenuously each day, but we don’t have to. It is movement that is key to staying healthy, mobile, and strong. Back in my 20’s and 30’s I would pay for a gym membership and several times a week I would go workout, lifting weights, playing racket ball and running on the treadmill. That was then and this is now. I am not interested in paying for a gym membership, let alone lifting weights, but I do love walking and walking provides movement. There are so many way to fit a walk into your day. Walking in a park, through the woods, on the beach, through your neighborhood, or strolling a few blocks to a local restaurant for dinner with a friend are just a few. 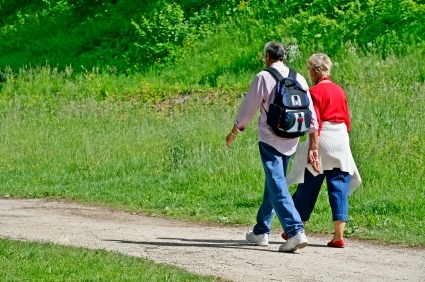 Walking doesn’t cost a thing and it is better on your joints than running. Walk to town, get your groceries, and see what’s happening in the area where you live. Chat with your neighbors and local merchants as you go along. Get to know your neighborhood and community. You may be in a for a fun surprise when your run across a street performer or see a flyer on a storefront advertising a fun and FREE event. Most important is to just get up and move, and keep moving. An object in motion stays in motion…an object not in motion …well, you know the saying. And it’s amazing what life will send you if you get out into it. Volunteering for a cause that is important to you feeds the soul. Many spend their whole life working at a job that is just that, a job. Being retired allows one to provide service to others. Find what you love and are passionate about and look for volunteer opportunities in that area of interest. Love animals? Volunteer at the local shelter? Like to cook? There are opportunities to volunteer at soup kitchens, church events, fairs and festivals for local clubs. Are you good at woodworking? Maybe you could volunteer to work with teens as the local YMCA or after school program to teach kids this valuable skill. Have you always loved the arts? Consider volunteering at a musicial or theatrical venue in your town. Children at the top of your list? There are so many opportunities to give back in ways that help children, from hospitals to schools to churches to clubs. Your heart will feel full when you give back and that is what happiness is made of! Positive thinking and being optimistic about life simply makes life better. Have you ever been around someone who’s glass was always half-empty? It drains and drags you down. Simply by approaching life in a positive fashion, looking for best in people and expecting the best out of life, you notice that life seems better, happier and lighter. I just reunited with an a friend that I worked with 24 years ago. Now 90 years old, she is mentally sharp and physically mobile. She finds humor in life, has plans for the future, dreams are aplenty and she radiates positivity. Although she has had a rare blood disorder for quite some time, she approaches it as something that is, not something that defines her. What an inspiration for a happy, long life! What have you done to create a happy and healthy life? Share your thoughts below. Do you, or someone you know, live with chronic pain on a daily basis? Pain management, especially chronic pain management can get very expensive. You have your regular doctor visits, various medications, those prescribed and over-the-counter, physical therapy, as well as various other therapies prescribed by your physician. With all those treatments, medications and therapies comes associated costs, some very expensive, and after all that outlay of funds you may still be experiencing pain on a daily basis. What if there was a way to manage or eliminate your pain with less cost to you? Pain is a fact of life for many retirees and older adults. It dramatically and negatively impacts their life on a daily basis. Nearly 25% of older Americans live with chronic pain that affects their ability to function and to live a full and active life. Hobbies, favorite activities, and physical exercise have to be put aside, or for many they come to a screeching halt. Many people choose to take medications to reduce the pain, while others choose other therapeutic approaches, such as physical therapy, massage, supplements, over the counter remedies, chiropractic or naturopathic care. When living on a fixed income or a tight budget, those approaches can take a considerable chunk out of your wallet, leaving you feeling the impact. Low-income Americans, those whose annual income is under $36,000 are more likely to experience chronic pain, and that demographic consists, in part, of retirees on a limited income. So, what can be done to manage and even prevent chronic pain from becoming part of your life, while not emptying your bank account in the process? Acupuncture can be expensive for those on a limited budget or fixed income. An affordable option that provides quality care at an affordable price is community acupuncture. So, what exactly is community acupuncture? Jordan Van Voast, L.Ac., owner of and practitioner at CommuniChi, a community acupuncture clinic, explains that most U.S. acupuncturists treat patients on tables in individual cubicles. 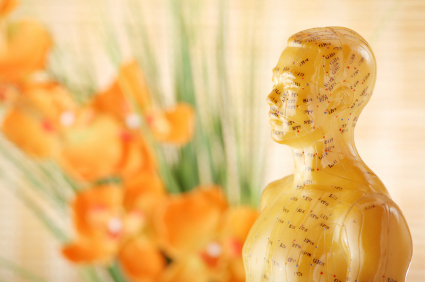 This is not traditional in Asia, where acupuncture usually occurs in a community setting. Treating patients in a community setting has many benefits. It is easy for friends and family members to receive treatment together and many find it comforting as the collective energetic field (group chi) nurtures the entire group. Sessions at community acupuncture clinics are considerably less cost to the patient than an individual session, with prices generally from $20 and up. Some community acupuncture clinics operate on a sliding scale basis. There are many community acupuncture clinics across the U.S. Locate a community acupuncture clinic near you on the POCA Coop website! Jim Sullivan, L.Ac., a licensed acupuncturist with St. Louis Community Acupuncture shared this fun and informative video. They talk about seniors and acupuncture, specifically, at about the 2:30 point on the video. Have you tried the community acupuncture model for treatment of your pain? Do you like the idea of a sliding fee scale to make acupuncture more affordable for retirees on a budget? Remember to click on the blue “Follow Budget Retirement” button. We invite you to join, participate in discussion in the comments section and share your thoughts and ideas. We are glad that you are here! Note: This article is for informational purposes only and is not intended to provide medical advice. Talk to your health care professional regarding treatment modality recommendation. Budget Retirement has received no renumeration for business or professional references in this article.